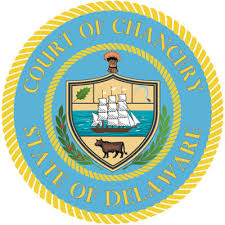 Irredeemable: Delaware Case Will Make Redemption Rights Tougher to Enforce - Farrell Fritz, P.C. Venture capital funds routinely negotiate for a right of redemption – the right to require the company to buy out their shares after a certain period of time if an exit has not occurred – as a key element of their exit strategy. But according to a recent case in Delaware, the VCs and the company‘s board members could be liable to common stockholders if they cause the company to engage in transactions to generate funds for redemption to the detriment of the common stockholders. Frederick Hsu Living Trust v. ODN Holding Corporation, et. al. involves a $150 million investment by venture capital firm Oak Hill Capital Partners in a holding company formed to own Oversee.net. The investment terms included a right in favor of Oak Hill to demand redemption of its shares for its $150 million investment amount beginning five years after the closing. The following year, the terms of the redemption feature were made more favorable to Oak Hill by imposing on the company a contractual obligation to “take all reasonable actions (as determined by the [company’s] Board of Directors in good faith and consistent with its fiduciary duties)” to raise capital if the funds legally available are insufficient to satisfy the company’s redemption obligation in full. Not long after its initial investment, Oak Hill bought out one of the company’s founders and gained control over a majority of the company’s voting power and the board. The complaint alleged that, two years later, Oak Hill concluded that exercising its redemption right was the most effective way to achieve the return of its capital, that the company lacked the cash to redeem any shares and that the company should change its business plan from pursuing growth to accumulating cash in order to maximize redemptions. The company then stopped making acquisitions, sold off most of its profitable business lines, changed the management team and approved bonuses that would be payable if the company redeemed at least $75 million of preferred stock. The board subsequently approved and the company executed two redemptions in the aggregate amount of $85 million and paid related bonuses in the amount of approximately $2.4 million. Essentially, the complaint alleged that the directors breached their fiduciary duties by prioritizing the interests of the preferred stockholders over those of the common. In cases involving directors’ fiduciary duties, courts will generally follow the business judgment rule and give deference to, and not second-guess, directors’ decisions. In cases where the board is not constituted with a majority of disinterested directors or otherwise does not act through a special committee of disinterested directors, however, directors’ actions are examined not by the business judgment rule but by the entire fairness standard, effectively shifting the burden to the defendants to establish both that the process and price were fair. In ODN Holding, none of the directors was deemed to be disinterested, so the focus of the case was on whether or not the process undertaken by the board was fair. Under Delaware law, board members generally have a legal duty to advance the best interests of the corporation, meaning that they must seek to promote the value of the corporation for the benefit of its stockholders. But in a world of many types of stock and stockholders — record and beneficial holders, long-term holders, short term traders, activists – the question is: which stockholders? In his opinion in ODN Holding, Vice Chancellor Laster stated that a board’s obligation to promote the value of the corporation for the benefit of stockholders runs generally to the common stockholders as the residual claimants, which he said was justified because a corporation has a perpetual life and the common stockholders’ investment is locked in. In ODN Holding, abandoning a growth strategy and selling off businesses was essentially a zero sum game: the cash generated by the sale of businesses benefited the preferred stockholders because it funded redemptions, but it hurt the common because it left the company without any means to sustain itself. The board chose to benefit the preferred at the expense of the common. But it could have chosen to keep the company intact, redeem preferred shares incrementally over the long run and thus leave open the possibility of creating residual value for the common. That strategy would have been unappealing to the preferred, who clearly wanted their capital returned sooner rather than later. The court was careful to draw a distinction between preferred stockholders and lender/creditors. Unlike creditors, preferred stockholders have no legal right to fixed payments of interest and no maturity date with the prospect of capital repayment and remedies for default. The court went on to state that a redemption right, even one that has ripened, does not convert a preferred holder into a creditor, and doesn’t give the holder an absolute right to force the corporation to redeem its shares no matter what. That’s because redemption rights are subject to statutory, common law and contractual limitations. As a stockholder in a Delaware corporation, Oak Hill’s rights were subject to the requirements of Section 160 of the Delaware General Corporations Law. As a matter of common law, redemptions cannot be made when the corporation is, or would be rendered, insolvent. By contract, under the terms of the preferred stock itself, redemptions could only be made out of “funds legally available,” and the board only had an obligation to generate funds for redemptions through “reasonable actions” as determined by the board in good faith and consistent with its fiduciary duties. The opinion states that a board does not owe fiduciary duties to preferred stockholders when considering whether or not to take corporate action that might trigger or circumvent the preferred stockholders’ contractual rights, i.e., redemption rights. Preferred stockholders are owed fiduciary duties only when they do not invoke their special contractual rights and instead rely only on rights shared equally with the common stock. It should be noted that Oak Hill’s preferred stock did not carry a cumulative dividend, a common feature of preferred stock which would have otherwise steadily increased the amount of the liquidation preference. Had Oak Hill’s preferred stock included cumulative dividends, the board might have stronger grounds to conclude that there was no realistic scenario for the company ever to generate proceeds sufficient to satisfy the preferred’s liquidation preference (as supplemented by the cumulative dividends) and then to have any value left over for the common, in which case the board would have been justified in liquidating the company with all proceeds going to the preferred. It also bears emphasizing that ODN Holding was decided on a motion to dismiss, a pleading-stage decision, in which the plaintiff is given the benefit of the doubt. The court left open the possibility that the trial court could find that, even without the obligation to pay cumulative dividends, the directors could have reasonably concluded that the company’s value as a going concern would never exceed Oak Hill’s $150 million liquidation preference and so selling substantially all the assets with all proceeds going to the preferred and nothing left for the common was defensible because the common was effectively worthless. But that issue would have to be determined at trial, not on a motion to dismiss. Key Take-Aways: Companies should tread very carefully in embarking on a series of transactions to generate funds for redemption when the board is not constituted with a majority of disinterested directors. Directors must treat preferred stockholders, even those with ripened redemption rights, differently than creditors, whose contractual rights have far less legal restrictions and whose rights need not be balanced against those of the common stockholders. Where a board contemplates a course of action to benefit the preferred, they must be prepared to prove that doing so was value maximizing because the preferred holders’ liquidation preference exceeded the company’s value as a going concern, effectively rendering the common stock worthless. And finally, from the investors’ perspective, negotiating for and securing cumulative dividends would help bolster that last argument.